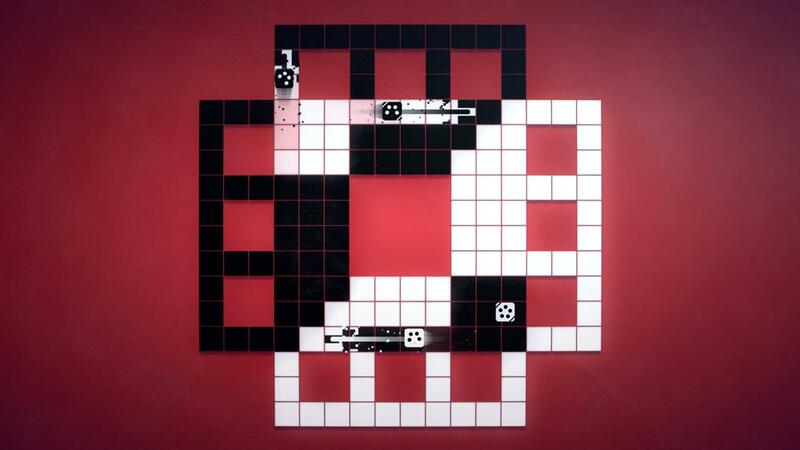 With 50 unique maps, hundreds of unlockable items, AI bots and online ranked multiplayer, this is the definitive version of INVERSUS! The playfield looks simple at first glance, but once the action begins, complexity unfolds at a rapid pace. Player movement is constrained to opposite colors of a black and white grid. My walls are your paths and your walls are my paths. Each shot flips tile colors in an attempt to block, trap and close in on the enemy. Up to four players can compete in VERSUS mode and up to two players can cooperate in ARCADE mode. Play with friends on the couch, online, or both at once! Hone your skills against the computer and then head online to enter the global ranks!